The songs are great, the characters are fun, the animation is stunning, and it doesn't overstay its welcome (offering a comfortable 103 minute runtime). Your daughters will love it. You will too. The dynamic Disney duo of Ron Clements and John Musker return for their first fully computer-animated film for the House of Mouse. Best known for reviving Disney from the near-grave with The Little Mermaid (and also directing Aladdin and The Princess and the Frog among others), their latest effort, Moana, sees the pair working with more contemporary material, while still retaining the old-fashioned feel of Renaissance Disney. It's also a comparable follow-up to Frozen for largely that reason, and audiences will likely embrace it in the same way. The island of Motunui was once a paradise for the inhabiting tribe. But in recent times, the fish have disappeared and the crops have failed. 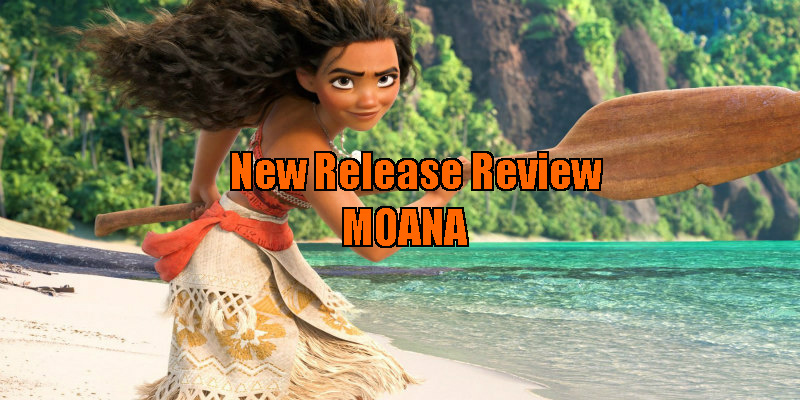 The chief's daughter, Moana, is determined to save her people and the island, and so begins her quest to find the demi-god Maui and reverse the curse. Moana basks comfortably in the tropes of its peers (perhaps too much so for its own good at times). There's an overprotective father figure, a wise old woman, and the film is arranged as a buddy comedy. Throw in some silly non-speaking sidekicks, a believe-in-yourself message, and an end-of-second-act character division that finds the expected resolution, and you've got yourself a fairly familiar Disney film. But given the high standards the studio has largely maintained in their craft, this is far from a bad thing. In fact, Moana is one of the year's most delightful films, cliches and all. The key to its success is (not unexpectedly) in its songs. Written by Lin-Manuel Miranda, Mark Mancina and Opetaia Foa'i, each musical number is unabashedly big and bright. The songwriters practically dare you not to smile, and it's certainly a worthy challenge. The melodies are catchy, the lyrics are clever, and all the actors do their own singing. The songs are the highlights of the film, at times threatening to overshadow everything else. While Moana's cliches have been noted, its innovations are certainly worth pointing out. As has been increasingly popular to do over the last few years, the female lead isn't in a romantic relationship by the film's end. In fact, she's never given any semblance of a love interest (this may have to do with the character's age; being just sixteen). She's also not a princess (something made explicitly clear through a couple lines that brush along the fourth wall), although that won't stop Disney from marketing her as such (see Pocahontas and Mulan). Additionally, neither of Moana's parents die, and unlike the last four Disney films (and four consecutive Pixar films before that), there's no twist villain. The film's small cast all excel. 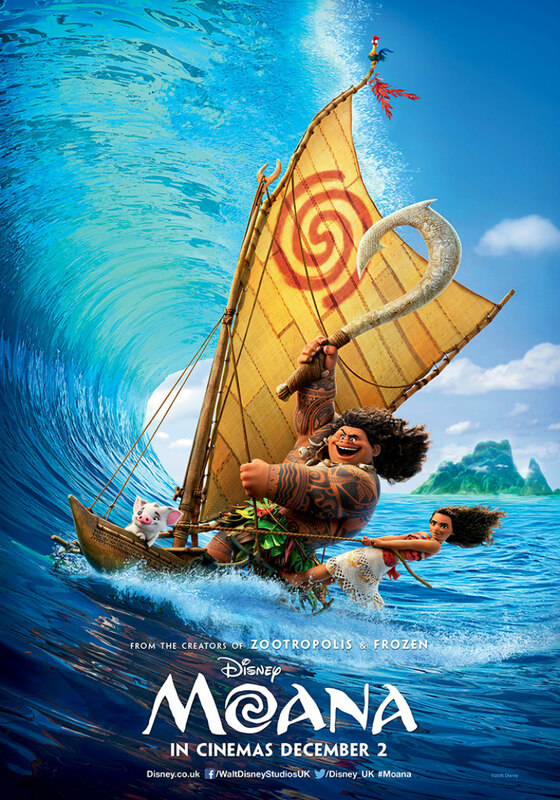 Auli'i Cravalho (only 14 years old when she recorded her lines) has a natural charisma that is put to good use as the titular character, while Dwayne Johnson charms as Maui (even though he's working largely with the weakest parts of Jared Bush's otherwise solid script). Alan Tudyk is great fun as a mindless rooster and Jemaine Clement scores some laughs in a thoroughly unexpected role, but the real star is Rachel House as Gramma Tala. While the crazy old person full of wisdom isn't anything particularly new, House and the animators breathe life into this familiar character. The warmth, humour, and familiarity that Disney always strives for in these characters has never been better achieved then here. Hats off to the animators and bravo to House, delivering one of the best vocal performances of the year. Is Moana a Disney classic? Perhaps not. And Frozen-fatigue notwithstanding, it's not quite as surprising or touching as that phenomenon. 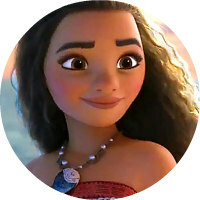 But Moana is nonetheless a great (and sometimes very great) addition to Musker and Clements' filmography, capturing absolutely everything you could expect and hope for in a Disney "princess" film. The songs are great, the characters are fun, the animation is stunning, and it doesn't overstay its welcome (offering a comfortable 103 minute runtime). Your daughters will love it. You will too. Moana is preceded by a short film entitled Inner Workings (directed by Leo Matsuda). It's funny, touching, and extremely creative, nearly in the ballpark of Feast, Disney's best recent short. Get to your theatre on time. Moana is in cinemas December 2nd.